No man is an island and no individual is truly all alone. Even at his or her most solitary, the individual has a group history. It could be a traditional biological family. It could be a foster or “found” family. It might even be a formal organization or group. And then there’s the individual’s “internal” family, which resides within them. Like any family, there are fights and conflicts here. Sometimes these family feuds can cause destructive behavior in individuals. Take substance addiction, for example. Years of research have shown that there are numerous reasons behind the cause and drive of an addiction. Personal relationships can be one. And it’s not just physical relationships that can cause substance abuse issues. How an addict perceives roles and functioning within internal relationships can determine whether or not an individual will engage in self destructive behavior to cope with them. Intervention can be one short term way to get some addicts into treatment. But for effective and lasting relief from substance dependency, detox and good intentions are not enough. Addicted individuals must to learn to recognize and cope with both internal and external triggers to avoid relapses. What Is The Internal Family Systems Program? Psychology’s “Bowen Family System” theory indicates that individuals have intense emotional and psychological ties to a family group that they are part of, even if they are physically removed from it. In the 1990s, a family therapist named Richard Schwartz posited that individuals didn’t just belong to a physical family. They had many roles (or “parts”) within an internal family as well. Feeling that all of these internal parts had to be acknowledged and addressed to achieve real balance and positive functioning, Schwartz developed the Internal Family Systems (IFS) program. The program helps patients to identify all of his or her individual parts within a familial setting. Trained therapists then work with patients to recognize various “traits” (strength, humor, weakness, etc.) within this internal family. With the Internal Family Systems program, methods are developed to help these parts work more effectively together. By recognizing their roles within these “relationships” and how it affects them, IFS patients are better able to cope with both internal and external issues. There can be multiple reasons as to why individuals slip into substance abuse. They range from experimentation to genetics to self medication. But regardless of the cause, true recovery from addiction is difficult. In addition to curbing physical cravings, the emotional and psychological triggers that make addiction attractive have to be addressed as well. Studies have shown that talk therapy in conjunction with medical treatment can be very useful. Among the techniques that have been helpful are counseling and peer meetings. However, some in recovery don’t find the broad approaches of these types of therapies a good match for their particular needs. For these individuals who need to develop a more specialized approach, Internal Family Systems can be a good alternative. Because this therapy program sees an individual as having many distinct “sub” personalities that must work together to achieve functioning, it can be easier to spot a struggling “sub”. Knowing how these facets work together as a “family” can also help a therapist to understand how a disruption in balance can lead to issues like a relapse in recovery. Understanding how to prevent this balance loss from happening can be a crucial first step in recovery. A patient in rehab will work with a therapist to identify various personality “parts”, and the roles that these parts play in functioning both alone and together. Special attention is paid to identifying personality components in conflict with each other, and finding benign ways to resolve conflicts that might otherwise be dealt with by self medicating. 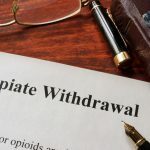 Patients receiving this type of therapy should expect to receive one on one outpatient treatment with a certified therapist for an unspecified period of time. Therapy techniques include visualization, self relaxation, and journal keeping to help recognize and deal with problems constructively. No one is an island, but those with addictions may feel marooned in recognizing the parts of their internal family that need help. With assistance from a internal family systems program, these individuals can find substance free help in reconciling their inner selves and finding balance inside and out.